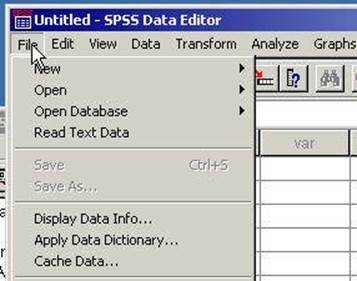 Click on "File" in the SPSS Window in the screen below. 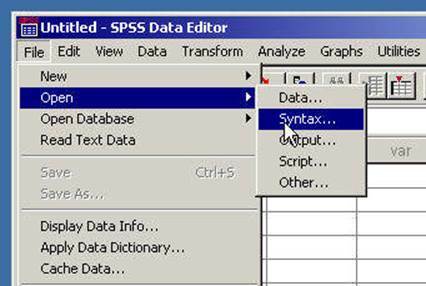 This sections assumes that a Syntax File has been created (as in the previous section) or in the next section. 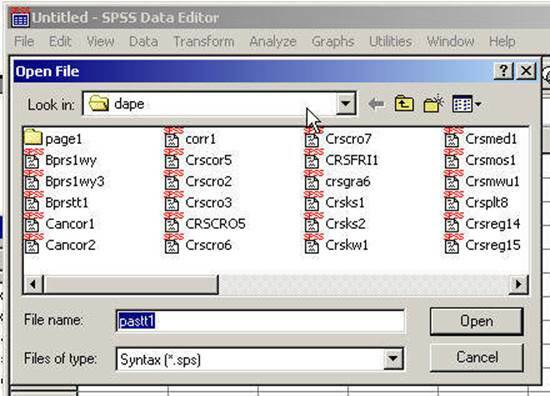 It also assumes the Syntax File is not presently residing on the SPSS window screen.